I started in my last post talking about older loved ones and “aging in place.” That first post was about the aging part and Activities of Daily Living. In this installment, I have a tip on how to assess the “place” part of aging in place. I call it the “mitten test.” If you live in the upper portions of the U.S., your winter mittens may just about be ready for the storage closet. 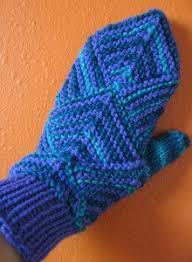 But your mittens have another useful purpose that can help you make home an easier place for your older loved ones. You can use them to identify spots in your loved one’s home that can be adapted to fit their changing capabilities. As our bodies age, certain of our nerve pathways begin to fail, and the human anatomy uncannily reroutes many of the circuits as they stop firing. But with age, more and more of those pathways may slow or fail for a variety of reasons, and it just makes it harder for older adults to do the simple manual tasks they used to do without even a thought. Turning a door knob, turning on a lamp or taking the lid off a jar become challenging, maybe even impossible. It is hard for those of you who may be in the prime of your lives to really get this, no matter how empathetic, so I recommend an easy exercise to help you experience what this erosion of manual dexterity and fine motor skills feels like. In doing so, you can also help identify challenging hardware or activities that can be more easily managed with a bit of creative help. With a pair of mittens, walk through each of the rooms in your elder loved one’s home and go through the normal activities of the person who lives in those rooms. As you enter a room, it is may be more challenging to flip a light switch or twist the switch on a lamp with your hands in mittens. These can be remedied by retrofitting wall switches with the larger rectangular switches that one merely presses on and off. Likewise, the lamp twist switches that are challenging with mittens can be replaced with wider winged grips. And even before you enter a room, the door knob may be your undoing if the knob is too small or too slippery. Handles may be an appropriate replacement. The mittens are effective barriers to everything from opening the ketchup bottle to a twisting the lid on a jar of apple sauce or beverage bottle and more. And if a key itself is hard for an older loved one to grip when opening a door, hardware stores have over-sized sheaths to make gripping easier. With your mittens still on, try tying your shoe laces or buttoning a shirt or blouse. It may be time to get creative with Velcro-equipped shoes or other substitute hardware for buttons. And go through the motions of other self-grooming activities to determine what challenges are manageable and which are just out of reach. The number of what are called “assistive devices” will amaze you as you look to television remote controls, computer access and more. Check out the Department of Health and Human Services Assistive Technology site. Charlotte Bishop is an Aging Life Care Advisor, Geriatric Care Manager and founder of Creative Care Management, certified professionals who are geriatric advocates, resources, counselors and friends to older adults and their families in metropolitan Chicago. She also is the co-author of How Do I Know You? A Caregiver’s Lifesaver for Dealing with Dementia. 1 New contact form submission received from CreativeCareManagement.com - Caregiver Counsel on Caregiving & the New Normal [fullname] <[emailc]> info@creativecasemanagement.com, lynda@llvirtual.com From: [fullname] <[emailc]> Phone: [phones] Message Body: [question] -- This email was sent via the contact form on the Creative Care Management website, http://www.CreativeCareManagement.com. Your message was sent successfully. Thanks. Failed to send your message. Please try later or contact the administrator by another method. Validation errors occurred. Please confirm the fields and submit it again. Failed to send your message. Please try later or contact the administrator by another method. Please accept the terms to proceed. Please fill the required field. The field is too long. The field is too short. Date format seems invalid. This date is too early. This date is too late. Failed to upload file. This file type is not allowed. This file is too large. Failed to upload file. Error occurred. Number format seems invalid. This number is too small. This number is too large. Your answer is not correct. Your entered code is incorrect. Email address seems invalid. URL seems invalid. Telephone number seems invalid. 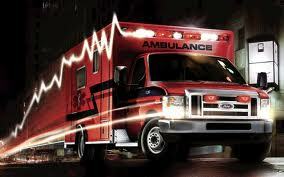 Is your loved one age 60 or older__...answer yes or no to each of the age questions. Is your loved on extremely obese__...answer yes or no to each of these. Do the math. 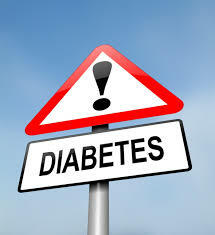 If your total is 4 or more, your older loved one is at risk for undiagnosed or pre-diabetes. If the score is 5 or greater, your older loved one is at a high risk for full-blown diabetes. Your first step should be to clarify your ratings by going to the American Diabetes Association web site with a somewhat more detailed checklist to confirm what these few questions are highlighting for your older loved one: http://www.diabetes.org/are-you-at-risk/diabetes-risk-test/ Next, if your numbers tell the same story I strongly encourage you to get your older loved one to a health care provider to be properly tested. If their diabetes is confirmed, your loved one's provider will prescribe an appropriate regimen that likely will include, diet, exercise and perhaps oral medication. But also help your loved one to begin a serious rethinking of their "health style." If you look at the list of questions, no one can control their age, gender or family history. But the sum total of the "worst case" for each of these will not in the absence of other factors put your loved one in a risk category. But if one or both of their weight or their exercise routine are not in place, they will be at risk. As your loved one reviews his or her health style and they speak with their provider about appropriate steps to rectify their situation, you may also see an added benefit. They may ask you to come along to work out with them or to also share in a dietary shift toward healthy. So, the benefit is there for you, the caregiver, and for your care receiver. Charlotte Bishop is a Geriatric Care Manager and founder of Creative Care Management, certified professionals who are geriatric advocates, resources, counselors and friends to older adults and their families in metropolitan Chicago. Please email your questions to info@creativecaremanagement.com. Immunizations - This is not just the annual flu season immunization; it really covers a range of opportunistic bacteria or viruses that pose a risk to the health of your loved one as well as to you as the caregiver. Talk to your loved one's provider about the specific vaccinations you should have such as tetanus, pneumococcal vaccine, hepatitis B, measles/mumps/rubella and varicella (chickenpox). You want to avoid giving or receiving these bugs, and your loved one's provider will help you to identify what you need to do. Hand Washing - You cannot see the germs, but you absolutely must wash your hands often and thoroughly. You should wash before and" hands-on" helping with your loved one and after. And, just as with restaurant workers, wash your hands after using the bath room as well. Protective Gloves - As an extra precaution, consider using rubber or latex gloves as an extra layer between your skin and the skin of your loved one, especially if you are charged with assisting in bathing or toileting your loved one. And as you remove the gloves start with the wrist and peel them off so that they are totally inside out as you dispose of them. And wash your hands after for good measure. Disinfecting - Cleaning surfaces or clothing and bed clothes that come in contact with your older loved one is a very good idea, and it is easy. Use some amount of bleach in your washer loads, and for surfaces one teaspoon of bleach per gallon water will make an effective disinfectant. This solution can be used in the kitchen as well as the bathroom. As with all cleaning products, read the label for any special precautions.